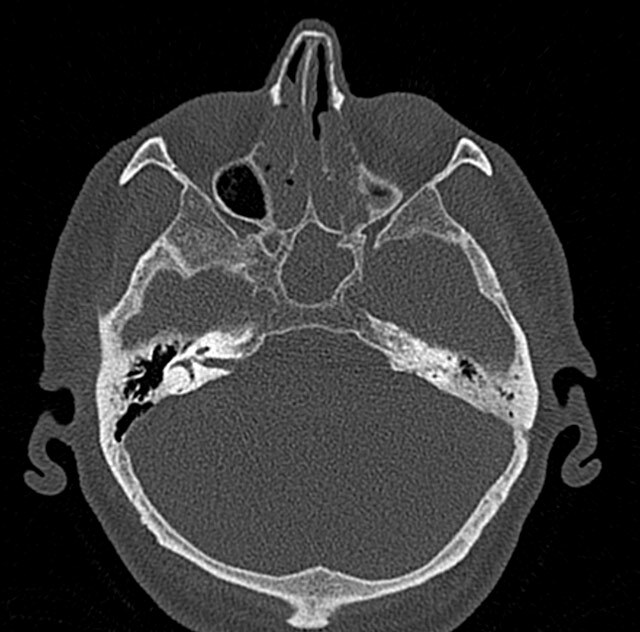 A 52-year-old man presented to the outpatient clinic with chronic nasal obstruction and discharge. Upon questioning, he complained of long-standing headaches. MDCT of the paranasal sinuses was performed.